Disuptes over the boundaries of religion are long-standing. Are certain things essential to it, such as beliefs about supernatural beings or extraordinary forces? Such questions become particularly relevant to discussions surrounding what constitutes "nature religion." For there to be nature-oriented belief systems to be considered religious and/or spiritual, for example, must adherents believe in supernatural realities? [For an example of a definition that insists that religion must have something to do with supernatural divine beings, see Jonathan Z. Smith and William Scott Green, "Religion, Definition Of," in The Harper Collins Dictionary of Religion, ed. Jonathan Z. Smith and William Scott Green (New York: HarperCollins, 1995), 893-94.] Or is a more nebulous sense that "nature is sacred" in some way sufficient to trigger the term religion when describing people with such perceptions? Is the presence of terminology that typically accompanies religious forms sufficient evidence that associated beliefs and/or practices are religious? Such conundrums can be summarized with these questions: Is religion a useful term for analysis? If it can be, what are the ways it should be understood? Where does religion end, and where do social phenomena that are not religious begin? If Chidester is right about touch being critical to religious life and perception, then this insight would certainly be pertinent to exploring the natural dimension of religion, in which human sensory experience is understood as a critical wellspring of religious belief and perception. This makes sense, for it is through this process of refining and revising that misleading or even malicious constructions of the term will, over time, decline in influence. Messing around with inherited terms and understandings may yield valuable new insights, but the bottom line is that terminology is needed for analysis, however problematic and contested it may be. In the following two quotations, Chidester and another eminent religion scholar, Jonathan Z. Smith, put this eloquently. Along with Saler, Kocku von Stuckrad has also called for such a “polyfocal approach,” tracing it to Friedrich Nietzsche who wrote, “There exists only a perspective viewing, only a perspective ‘comprehension’ [‘Erkennen’]; and the more affects concerning a matter we present, the more eyes, different eyes we are able to employ for the same matter, the more complete will be our ‘understanding’ [‘Begriff’] of this matter, our ‘objectivity’.” This quote is from Friedrich Nietzsche, "Zur Genealogie Der Moral. Eine Streitschrift," in Friedrich Nietzsche: Sämtliche Werke, Kritische Wtudienausgabe in 15 Bänden, #5, ed. Giorgio Colli and Mazzino Montinari (Berlin & New York: Walter de Gruyter, 1999), 245-412, here at 365, italics in original, in and translated by Stuckrad, "Discursive Study of Religion," 260-62. What are these resemblances, the elements that are constitutive of religion? Here is a list that includes those most typically articulated characteristics of religion that focuses especially on religion’s natural dimensions. Beliefs in or concern about (and regarding) supernatural beings or spirits, or dramatically extra-ordinary forces, which are sometimes explicitly understood as divine or holy or conceptualized with a similar cognate. Division of the world into sacred and profane objects or domains or spaces. Ritual acts and forms, often focused on sacred objects or spaces, but sometimes also having to do with seemingly mundane matters, such as birth, food preparation and consumption, and death. Beliefs and practices about, and believed to be related to, earthly and/or otherworldly destruction, and/or redemption/salvation/healing (where healing may alternatively be physical, emotional, spiritual, or all three). Practices and techniques including trance and other extraordinary states of consciousness. Processes and pressures that seek to get individuals or groups to alternate or retain religious allegiances and belief systems—conversion experiences and the failure or reversal of such experiences. Affective feelings and experiences of awe, mystery, shame, love, empathy, devotion, hatred, or rage, which tend to be evoked through ritualizing or other routinized practices, and are generally believed to be conducted in the presence of sacred beings, places or things, or in concert with their wishes. Beliefs in and practices (often, if not usually, with strong anthropomorphic dimensions) related to communicating or communing with supernatural or divine or extraordinary powers, or ultimately meaningful beings, or spirits, or forces. Understandings of the cosmos and the place of the earth and people and other living things in it, often understood as having ultimate meaning or as being some kind of holy order; such understandings may provide a sense of well being, belonging, and/or connection between individuals and the wider spiritual/ethical communities with whom people feel associated. Such religious understandings help people to cope with and find meaning, especially in the face of anomic realities such as suffering and death. Ethical understandings of the proper place for people and other living things in the world; these may promote or hinder social solidarity (identify morally considerable kin groups) and/or function to serve the economic, prestige, and power interests of some individuals and groups more than, or at the expense of, others. Beliefs and practices which divide humans (and/or other living things) into hierarchical classifications and reinforce the same distinctions, which often involve the labeling of some people as divine (or at least as having special lines of communication with divine beings or places), others as ordinary (or human), and others as evil (or subhuman), legitimating the repression of the latter. Beliefs, including narrative cosmogonies and cosmologies, which are not empirically demonstrable but are strongly reinforced through education, reinforcement/reward, penalties for deviance, and other social means. Sacred narratives (written or oral), which are often understood to have been given to people in some special/holy way, from some special/sacred place, for some special/holy purpose. Spiritual leadership, religious specialists, and physical/spiritual healers, who teach and assist seekers and devotees, and sometimes resist or fight (either directly or by example, exhortation, and administration) perceived, spiritual adversaries. Beliefs and practices that govern (and sometimes consecrate) the ways people use and transform their various habitats, and that sometimes tend strongly to reinforce or work against certain forms of socio-economic organization (namely, beliefs and practices that shape and influence their environments). Beliefs and practices that draw directly and indirectly on natural symbols and events for practices related to some or many of the above characteristics (namely, beliefs and practices shaped or influenced by their environments, such as volcanoes). Analyzing family resemblances is valuable, therefore, regardless of the great differences that inhere in different peoples and places, and despite the absence of any clear, essential, universal trait that everyone will agree constitutes religion’s essence. Such an approach to conceptualizing religion leaves “in play” and open to contestation the definition of religion. It even leaves open to debate whether the contestation over definitions is important. It insists that the critical thing is nor to police the boundary of ‘religion’ but to learn valuable things about human beings, their environments, and their earthly co-inhabitants. Par. 3, spirituality and religion, unabridged note 6: One sociologist of religion, for example, found that the key difference between spirituality and religion, in the minds of many, is that, “to be religious conveys an institutional connotation [while] to be spiritual . . . is more personal and empowering and has to do with the deepest motivations in life,” Wade Clark Roof, A Generation of Seekers (San Francisco: Harper, 1993), 76-77, see also 30, 76-79, 129-30. Other researchers found similarly, that “religiousness is increasingly characterized as ‘narrow and institutional,’ and spirituality . . . as ‘personal and subjective’” – and reported that nineteen percent of their respondents viewed themselves as spiritual but not religious; Brian J. Zinnbauer, Kenneth I. Pargament, and others, "Religion and Spirituality: Unfuzzying the Fuzzy," Journal for the Scientific Study of Religion 36, no. 4 (1997), 563, see also 549-64. Two books provide further evidence that increasing numbers of people in Western countries consider themselves spiritual and not religious, making understanding what people mean by the distinction obviously important. See Paul Heelas et al., The Spiritual Revolution: Why Religion Is Giving Way to Spirituality(Maldon, MA and Oxford, UK: Blackwell Publishing, 2005), which contributes an empirical case study in the United Kingdom. The authors stress how the growth of “subjective spirituality” and the “holistic milieu,” which involves a tendency to focus on quality of life in this world as opposed to material acquisition or the attainment of an otherworldly domain, is growing strongly, even if perhaps slower than in the past and not in a way that could be characterized as a wholesale revolution, although they think this is possible. See also Robert C. Fuller, Spiritual but Not Religious: Understanding Unchurched America (Oxford & New York: Oxford University Press, 2001), esp. 87-100. Anna King has provided even greater specificity when analyzing the idea of spirituality within the countercultures of many western societies. Par 2, a more pantheistic belief, unabridged note: Another study found that attitudes toward environmental issues are “associated with the extent to which the individual believes that s/he is part of nature,” but that this is an unconscious awareness; see P. Wesley Schultz et al., "Implicit Connections with Nature," Journal of Environmental Psychology 24 (2004), 31. Other research “supports ecopsychologists’ contention that connection to nature is an important predictor of ecological behavior and subjective wellbeing.” Stephan F. Mayer and Cynthia McPherson Frantz, "The Connectedness to Nature Scale: A Measure of Individuals’ Feeling in Community with Nature," Journal of Environmental Psychology 24 (2005), 503. Another study found that among Americans, “a number of radical environmental ethics, which revolve around a set of arguments for the intrinsic value of nonhuman nature, were embraced by respondents, especially ‘organicism/animism’ . . . ‘natural rights’ . . . and to a lesser extent ‘pantheism’; see Ben A. Minteer and Robert E. Manning, "Pragmatism in Environmental Ethics: Democracy, Pluralism, and the Management of Nature," Environmental Ethics 21, no. 2 (1999), 199. See also Kathy Brasier, "Identifying Environmental Attitudes and Their Correlates Using Exploratory Factor Analysis," Sociological Imagination 32, no. 2 (1995). Par. 1, earth’s living systems, additional references: Bron Taylor and Gavin Van Horn, "Nature Religion and Environmentalism in North America," in Faith in America, "Personal Spirituality Today" (V. 3), ed. Charles H. Lippy (Westport, CT, London: Praeger, 2006), Bron Taylor and Joseph Dylan Witt, "Nature in New and Alternative Religions in America in America: Cases from Radical Environmentalism to Adventure Sports," in New and Alternative Religions in the United States, ed. W. Michael Ashcraft and Eugene V. Gallagher (Westport, CT: Greenwood, 2006). Par. 4, distinguishing characteristics, additional note: Frazer noted, for example, that the Hebrew King Josiah initiated a death penalty for those who worshipped the sun in the seventh century bce and moreover, that subsequent Hebrew leaders, including the prophet Ezekiel, continued to battle the solar cult and other forms of what they considered nature-related idolatry. Par. 2, macrobiotic dietary movement, additional note:Albanese’s work has significantly influenced my research trajectory, including that which is represented in this book, although I usually define nature religions more narrowly than she does. In this book when I speak of “nature religion” I have in mind religious phenomena that consider nature to be sacred in some way. Albanese uses the term nature religion for any time religion is an important dimension or resource in a religious worldview and practice; whether nature is considered sacred is incidental. Par. 8, many affinities, additional notes: Naess (b. 1912) is the Norwegian philosopher who coined the term “Deep Ecology” in 1972 to express the idea that nature has intrinsic value, namely, value apart from its usefulness to human beings, and that all life forms should be allowed to flourish and fulfill their evolutionary destinies. He invented the rubric to contrast such views with what he considered to be “shallow” or “reform” environmentalism, namely, environmental concern rooted only in “anthropocentric” values that are concerned only about the well being of human beings. The term has since come to signify both its advocates’ deeply-felt spiritual connections to the earth’s living systems and ethical obligations to protect them, as well as the global environmental movement that bears its name. For his initial statement promoting the idea see Arne Naess, "The Shallow and the Deep, Long-Range Ecology Movement: A Summary," Inquiry 16 (1973). For an introduction to deep ecology and its religious dimensions see Bron Taylor and Michael Zimmerman, "Deep Ecology," in Encyclopedia of Religion and Nature, ed. Bron Taylor (London & New York: Continuum International, 2005) and for a biography of Naess, see Knut A. Jacobsen, "Naess, Arne," in Encyclopedia of Religion and Nature, ed. Bron Taylor (London & New York: Continuum, 2005). …We shall continue to have a worsening ecologic crisis until we reject the Christian axiom that nature has no reason for existence save to serve man. For works arguing that Asian and indigenous religions provide more fertile ground for environmental ethics than Abrahamic religions, see J. Baird Callicott, Earth's Insights: A Survey of Ecological Ethics from the Mediterranean Basin to the Australian Outback (Berkeley: University of California Press, 1994), J. Baird Callicott and Roger T. Ames, eds., Nature in Asian Traditions of Thought: Essays in Environmental Philosophy (Albany, NY: State University of New York Press, 1989), J. Baird Callicott and Michael P. Nelson, American Indian Environmental Ethics: An Ojibwa Case Study (Englewood Cliffs, NJ: Prentice Hall, 2004). For more sources expressing skepticism about environmentally friendly Asian religions, see Ole Bruun and Arne Kalland,Asian Perceptions of Nature: A Critical Approach (London: Curzon Press, 1995), Ian Harris, "Buddhist Environmental Ethics,"Religion 25 (1995), and Stephen R. Kellert, "Concepts of Nature East and West," in Reinventing Nature? Responses to Postmodern Deconstruction, ed. Michael Soulé and Gary Lease (Washington, D.C.: Island Press, 1995). Kellert argued, “There is a biological basis for all human values of nature” (117) and concluded, “Neither Eastern nor Western societies are intrinsically inferior or superior in their perspectives of nature” (118). For a critique of the idea that indigenous peoples are naturally environmentally friendly, see Shepard Krech, The Ecological Indian: Myth and History (New York: Norton, 1999). For more on such approaches see Jeffrey Snodgrass and Kristina Tiedje, "Indigenous Religions and Environments: Intersections of Animism and Nature Conservation (Special Issue)," Journal for the Study of Religion, Nature and Culture 1, no. 4 (2007). Par. 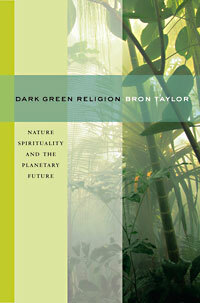 3, on sustainability as a central religious objective, additional references: Bron Taylor, "Religious Studies and Environmental Concern," in Encyclopedia of religion and nature, ed. Bron Taylor (London & New York: Continuum International, 2005), Mary Evelyn Tucker and John A. Grim, eds., Worldviews and Ecology: Religion, Philosophy, and the Environment (Maryknoll, NY: Orbis Books, 1994), Arne Kalland, "Religious, Environmentalist Paradigm," in Encyclopedia of Religion and Nature, ed. Bron Taylor (London & New York: Continuum International, 2005).